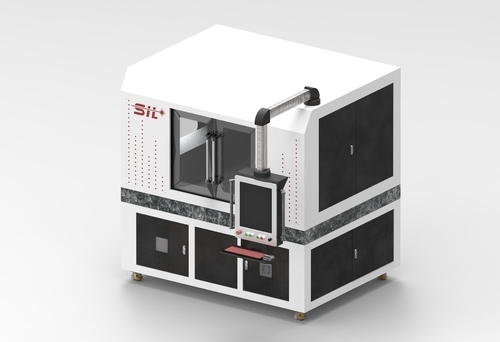 Our product range includes a wide range of fiber laser micro-machining system. Flexible design for all your micro machining requirements. The system configured as per your requirement. Add Trepanning for micro hole drilling from 0.25mm or lower up to 1mm. CNC controller with 2 interpolated axis expandable to 6 axis interpolation. And lateral dimensions. The ¿¿¿eld of micro-machining includes manufacturing methods like drilling, Cutting, welding as well as ablation and material surface texturing, whereby it is Possible to achieve very ¿¿¿ne surface structures ranging in the micrometer domain. Such processes require a rapid heating, melting and evaporation of the material. The use of extremely short nano- and pico- and even femtosecond pulse durations Helps to minimize the thermal effects such as melting and burr formation thus Eliminating the need for any post processing measures. Looking for “Laser Micro-machining System”?